With the growing cannabis industry in Alaska, it was inevitable that we’d have a cannabis client or two under our belts before long. 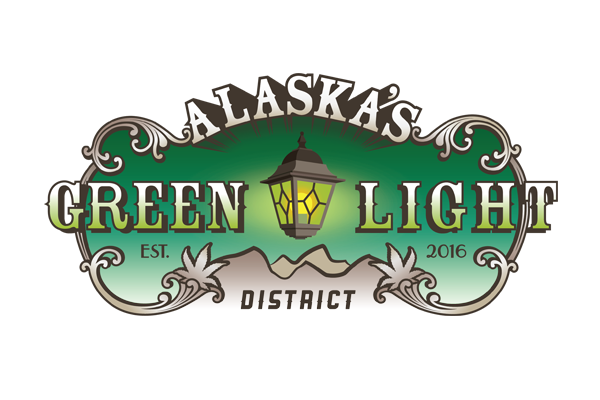 Alaska’s Green Light District is a cannabis dispensary located on the edges of Midtown and Downtown Anchorage, centrally located on Northern Lights Blvd with a highly visible shop. Out front you’ll find an AKSYS-designed logo. It’s a somewhat fanciful, classically designed logo that was meant to blend well with AKGLD’s upscale, warm, wood interior. This pot shop’s entire focus is on quality, be it quality marijuana products or the environment and customer service overall. The newly developed akgreenlight.com website incorporates eye-popping photos of product displays, merchandise, the interior and some staff. With minimal instruction, yet ample content provided, AKSYS was able to develop a highly useful website that helps cannabis users locate a quality-focused dispensary in Anchorage, browse their menu, scan some photos and ultimately come to the conclusion that Alaska’s Green Light District should be at the top of their list of pot shops to visit while in Anchorage. You might want to view their Anchorage Dispensary Listing in Google Businesses, or the Google Business Dispensary Website.